I just wanted to hop on and chat with you about oils and emotions. Now I have no problem wearing the crunchy badge with pride. I use oils every single day for all sorts of things and I fully believe in their ability to support the body. That said, for a very long time I was unable to come to terms with how oils support emotions. Sure, I was fine with the idea that lavender could relax the mind and promote sleep and that peppermint was stimulating and thus could help support healthy energy. Anything beyond these physiological responses, though, seemed way too new age for my liking. Learning a little more about the limbic system in our brains changed my perspective on this usage of essential oils. I’m not a scientist or a doctor so I highly recommend you do your own research, but I would love to share what I learned! Here’s my short, non-scientific version– The limbic system controls and regulates our emotions. It is also constantly taking in our sensory experiences and regulating our responses. The limbic system is also related to our storage of memories. Now this is where I got really intrigued– you know how certain smells instantly bring back memories, positive or negative? Yep, that’s your limbic system at work! So think about this… You have a negative emotion. Maybe it’s related to a memory. Now in the midst of that emotion you inhale an oil with uplifting properties, flooding your limbic system with new stimuli and creating new memories and associations. So cool right? And even cooler to me is the concept of creating associations between certain oils and positive thoughts. I have started using oils that have uplifting, calming properties while recalling Bible verses related to trusting God and living without anxiety so that when I use those oils it triggers thoughts of what is true. Isn’t it such an amazing way that God designed our brains to work? You can read more about the limbic system and essential oils here. I have a few favorite oils for this application that I want to share to help you get started. These oils and oil blends have many calming and uplifting properties, and I have personally found them very supportive in battling stress and anxiety. This blend includes Copaiba, Lime, Cedarwood, Vanilla, Ocotea, and Lavender. It smells a lot like the beach to me! It is an amazing oil to keep pre-diluted in a roller bottle and apply to the wrists & back of neck throughout the day, especially in the midst of chaos! I keep my Stress Away roller with me pretty much all the time. I also love diffusing Stress Away and Lavender in the evening to help me unwind. 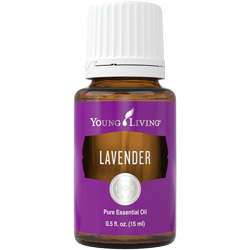 Just plain ol’ Lavender is another favorite chill-out oil. 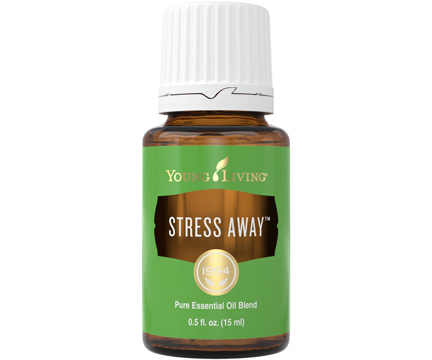 This one is in the Stress Away blend, but I also like using it on its own or adding a little extra to Stress Away in the roller or diffuser for extra emotional support. This is the #1 sleep support oil. I find that anxious thoughts tend to get to me the most at night and keep me from sleeping, so I really like diffusing lavender as well as rolling it on my feet and temples to help calm my brain and get me to sleep. 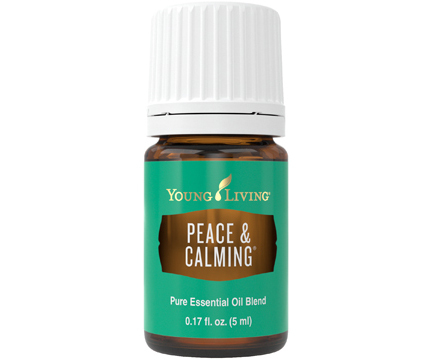 Finally, my very first favorite blend… Peace & Calming. This blend has tangerine, orange, ylang ylang, patchouli, and blue tansy. It has a sweet citrusy-floral scent that I love! It is full of some great mood supporting oils. I find using in a roller on my wrists and temples during stressful times throughout the day or when anxious thoughts are getting out of control helps to calm my mind and get me back in my happy place. It is another good one to diffuse at night to promote sleep, and I like using it in a roller on my feet as well about 30 minutes before bed as well. These are just my personal favorite oils for anxious feelings. There are many, many single oils as well as blends that can help support calm and cheerful emotions. A lot of it comes down to researching the properties of each oil and playing with them to find what works best for you. If you want to try any of the oils I listed, you can click on the links to find more information. If you want to order oils from Young Living for the first time, my personal recommendation would be to look into the premium starter kit. That is what I did, and it is absolutely the best bang for your buck. It is only $160 for 11 oils, a diffuser, and samples of various Young Living products. By getting the starter kit, you will have a wholesale membership which means you are never required to purchase anything again, but if you do, it will be 24% off. It also means I can add you to some private Facebook groups that are full of educational materials and I will be here to personally help you get started using the oils! One of the reasons I especially recommend the premium starter kit if you are interested in buying the oils I mentioned is because both Lavender and Stress Away are included in the kit. So you could get started right away using these 2 oils for emotional support, and if you decide you want to try Peace & Calming, you can then get it for 24% off! You can click here if you are ready to get started, but feel free to comment or email me at enthusiasticallysimple@gmail.com with any questions you might have. Have a happy, oily, uplifting day!